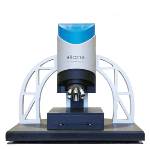 The EdgeMaster, available from Alicona, is an optical 3D measurement device suitable for automated cutting edge measurement. 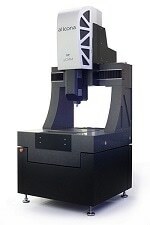 It measures edges regardless of the size, type, surface finish or material of the tool. 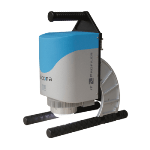 The instrument provides fully automatic measurements as well as unwavering results even with external light and external vibration. 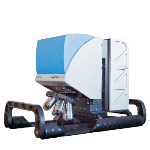 It provides a user-friendly operation and allows high-speed measurements. 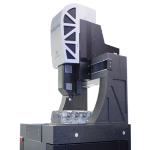 The high vertical resolution of the EdgeMaster allows chipping measurement as well as visible roughness measurements at the rake angle of cutting edges. 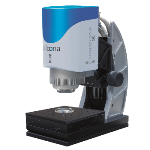 The instrument uses an intelligent illumination technology to increase the illumination of surfaces with brief exposure times, enabling rapid measurements. The EdgeMaster uses radius-fit to measure radius, wedge angle, clearance angle, rake/chipping angle, negative and positive bevel lengths, and edge symmetry. It also measures waterfall- and trumpet-shaped inserts. 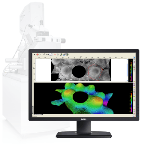 Users can measure radii > 2 µm in addition to wedge, clearance, and rake angle of cutting edges. 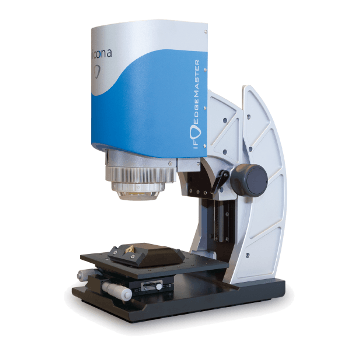 The robust Focus-Variation technology delivers traceable and steady measurements during production. 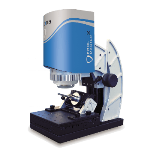 The EdgeMaster is used to measure drills, inserts, millers, green parts of a tool, and polished components. Since 1978 Tool-Flo has become a prime supplier of carbide inserts for threading, grooving, turning, milling and specials of various styles. 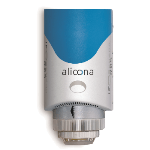 We have been looking for years for quality control inspection systems offering what Alicona supplies. Others have given us promises, Alicona showed the proof. We are convinced about the accuracy and repeatability of the tool measurement capabilities. This brought us to a new level of quality beyond belief.